So the first book I translated was finally published. 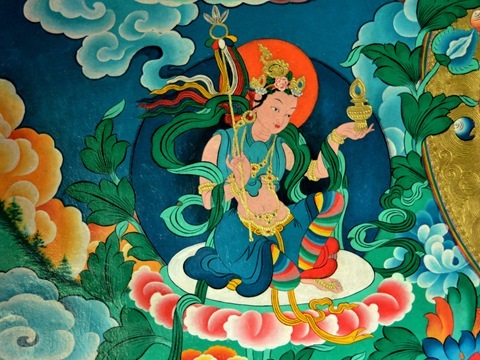 Translation was based on the English version of Lady of the Lotus-Born: The Life and Enlightenment of Yeshe Tsogyal. I feel so privileged to participate in this effort. 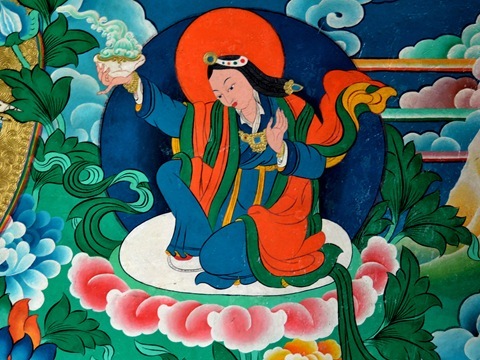 For me, Yeshe Tsogyal is not only a great exemplification of an inspiring perfect disciple and a Maha Siddha accomplishing unfathomable activities in a female body, but also through those terma instructions she compiled on what Guru Rinpoche had personally taught her, you can feel the warmth of those words as if she is whispering right by your ears and whatever the words carry melts and directly dissolves into your heart. 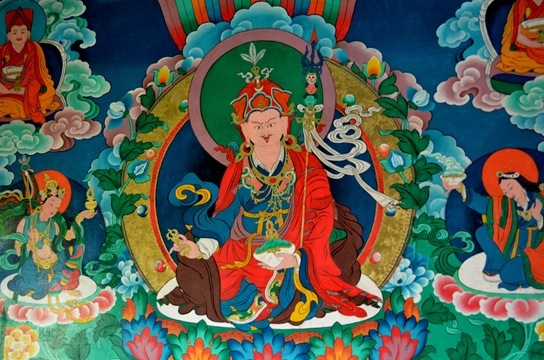 As a bonus to do the above book, half of“The Lives and Liberation of Princess Mandarava: The Indian Consort of Padmasambhava” also came to me. 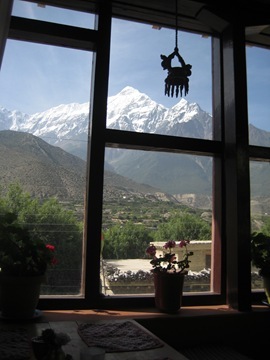 Since I did not know too much about Mandarava, translating her bio is more like reading an inspiring, sometimes miraculous, story at the same time while the majority of work was done in the restaurant of OM Hotel at Jomsom, with a pot of freshly brewed mint tea. A fond memory I would never forget. We were very fortunate to have Palyul Choktrul Rinpoche to do the final proofreading/edits based on the original Tibetan scriptures. Dzongsar Khyentse Rinpoche also kindly granted forwards for these two books. So much blessings came to materialize this project which some Dakinis in Taiwan initiated with great aspiration 20 years ago. May all be auspicious and meaningful. Thank you so much for your hard works. I am reading them and believe that many people are benefited from these 2 books.